The administration’s approach to Islamabad undermines potential solutions in Afghanistan. For a 16-year-long war in Afghanistan, whose failure lies in an endless list of complex causes – including flawed strategy, incoherent war aims, return of the warlords, rise of fiefdoms and ungoverned spaces, corruption, power struggles and a competitive and conflict-prone regional environment – U.S. President Donald Trump has one simple solution: get rid of the Haqqani Network and Taliban sanctuaries in Pakistan. And if Pakistan does not oblige, cut off aid. Like the Afghanistan war, the equally complicated U.S.-Pakistan relationship is also being narrowly defined, thereby obscuring the many different ways it can serve or hurt the very American interests that the Trump administration is trying to serve. It is certainly true that Pakistan has a lot to answer for, especially for its illicit relationship with the Taliban. But sanctuaries did not play a defining role in the war’s failure, nor will their eradication, if they still exist, play a salient part in its success. 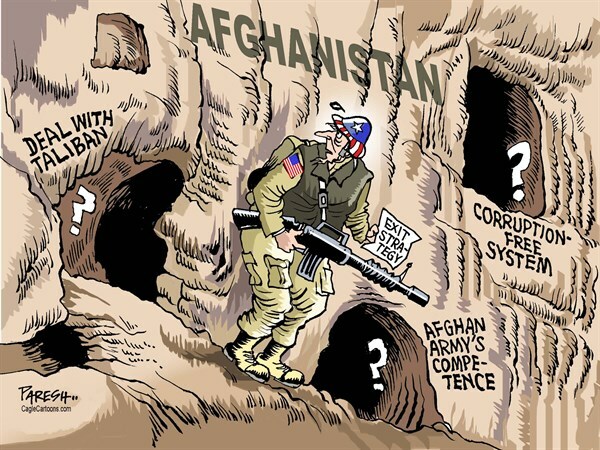 Sixteen years into the war, which has been described as “16 one year wars,” Washington has shown no better understanding of the complexities of Afghanistan and the region than when it invaded the country in 2001. Some understanding of what has gone wrong might help us find the way forward. It was a war that may not have been unnecessary but was nonetheless possibly avoidable. It has been an unwinnable war in the way it has been conducted, especially given the realities of a strife-torn country wracked by multiple conflicts since the overthrow of the monarchy in 1973. The 1980s war against the Soviets and the subsequent civil war had raised the profile of the mullah and jihad and changed not only Afghanistan but also the adjoining tribal territories in Pakistan. Home to millions of Afghan refugees and base to mujaheddin, these territories almost became like one country along with the areas across the Afghan border. Pakistan’s heartland too was affected by the religious infrastructure spawned by the 1980s war and by Islamabad’s own follies, to which Washington made no small contribution, first through the ISI- and CIA-sponsored jihad in Afghanistan, and then by sanctioning Pakistan in 1990 and leaving it to its own devices. The Taliban were an extension of this slow unravelling of Afghanistan, and strategic overreach of the Pakistan army and societal changes in the country. Former President George W. Bush made grievous mistakes upon America’s return to Afghanistan. He showed no understanding of what had been going on in and around Afghanistan since Washington’s last exit. It was a strategic mistake to try to defeat al-Qaeda by defeating Taliban who were not going to fight but instead run away to Pakistan. The focus should have been on al-Qaeda. The context of dealing with the Taliban was fixing fractured Afghanistan through reconstruction and stabilization of the country with a new ethnic-regional balance acceptable to all the Afghans. That is what you call nation-building. But Washington, of course, would have none of that. Instead, Bush outsourced much of the war to warlords and rushed to institute democracy, guided by the need to get domestic support for the war and by a flawed view that democracy is nation-building. Actually, democracy and nation-building are two separate challenges, with one sometimes reinforcing the other but not always. In Afghanistan, democracy did not help. It made Karzai dependent on the political support of warlords and regional power brokers, the very people who had brought Afghanistan to grief in the 1990s. This led to payoffs, corruption, a drug mafia, power struggles, and bad governance, facilitating the return of the Taliban which led a resistance that was a part insurgency, part jihad, and part civil-war. And by creating a dual authority – their own and that of the Afghan government – Americans set up a perfect scenario for clash of personalities, policies and interests, making for a poor war strategy. While Bush went on to fight another war, for his successor, it was a story of dealing with his deeply conflicted approach to the war where policy and legacy collided. Indeed the policymaking itself was not without its own conflicts, strife-torn as it was by turf wars, interagency rivalries and bureaucratic tensions. Now Trump is seeking a military solution to the conflict. There is a talk of a political solution, but that seems to be just a Plan B in case the military option fails. The suspension of aid to Pakistan is aimed at pressuring Islamabad to help Washington defeat the Taliban. But Pakistan is finding it hard to oblige without relinquishing its national interests in favour of U.S. aid, and that too in the face of public humiliation by Trump. It certainly will not do so in this election year, and not in an atmosphere where Pakistan sees the Indian threat having doubled with India’s increased presence in Afghanistan from where it is allegedly helping orchestrate terrorist attacks on Pakistan. If anything, this should enhance Pakistan’s relationship with the Taliban, which may be demonstrating their value as an ally with the recent horrific terrorist attacks in Kabul. The Taliban are the biggest card Pakistan has to secure its interests in Afghanistan, and it would not give it up easily unless it knows what comes next. Pakistan also feels the U.S. strategy would not succeed and may in fact backfire. A disinherited Taliban on a retreat from Afghanistan would be a much greater threat to Pakistan and to the United States, especially if the Taliban joins forces with other jihadist and Islamist groups. The Washington-Islamabad standoff thus continues. Pakistan feels it can take the heat, and that if Washington dials up the pressure, it would fall back on China. Washington thus has to consider the geostrategic implications carefully in this respect. A Pakistan closely aligned with China could conceivably take a harder line against India. If the United States continues to see China as a threat and India as a balancer, what would serve American interests better: an India whose resources are divided by a two-front deployment, or one that has friendly relations with Pakistan? For that, Washington should not burn its bridges with Islamabad. A relationship with Pakistan would also give the United States leverage against India. Furthermore, it will be useful to have Pakistan on its side in a region that is increasingly coming under the strategic shadow of Russia and the creeping influence of Iran. Most importantly, Pakistan’s role remains critical in stabilizing Afghanistan, and in helping Washington’s counterterrorism efforts. After considering all other options, the discussion always reverts to the talk of a political solution. But the irony is such a solution remains as elusive as the military one. How do you have power-sharing or coexistence when the Kabul government and the Taliban subscribe to two different political systems? And if instead of sharing it, you divide power by relinquishing the governance of some areas to the Taliban rule, are you not consigning the populations to the Middle Ages? Pakistan has a limited influence to bring Taliban to the negotiating table and has little incentive to do so when there is lack of clarity about American policy and Pakistan’s own relations with Washington are strained. The upshot is that Taliban themselves are divided. Some are irreconcilable, but those who want peace worry that if they do lay down the arms and accept a deal while the American forces are still there, they might be shortchanged. The Taliban trust China and its guarantees that they would not be betrayed. But the Chinese need support from Washington and Kabul. The Quadrilateral Consultative Group process offered the prospect of such a support. But the Trump administration prefers military option and going it alone, and that also suits Kabul: this way, at least the Americans will likely stay for the long haul. What is needed is a new relationship between Afghanistan and Pakistan. Only Kabul and Islamabad together can deal with the Taliban, politically if possible, and militarily if necessary. Counterinsurgencies are essentially a governance issue. Afghanistan needs to conciliate the areas under the Taliban control, and Pakistan should help by making its lands inhospitable to them. And both must work on joint border management and resolution of the refugee problem. This is a long-term plan, but it is doable. U.S. engagement with them would be essential to their success, as would be China’s involvement. But the Trump administration is not thinking in these terms. Instead, Trump has defined the Afghanistan war very narrowly and in immediate terms as a terrorism problem. American soldiers under attack from sanctuaries in Pakistan, rather than the war itself, preoccupies the Trump base. As for the military, it is only thinking of the military solution, and that also highlights the sanctuaries issue. So, right now, U.S. Pakistan relations are stuck, which makes the prospects of any political solution in Afghanistan quite dim. Touqir Hussain, a former ambassador of Pakistan and diplomatic adviser to the Prime Minister, is adjunct faculty at Georgetown University and Syracuse University. The series on TV called “The Newsroom”. The actor is Jeff Daniels, in the role of a newscaster called Will McAvoy. US Congressmen from Jewish backgrounds and Zionist-Hindutva-Israel-India Lobbies, with help from renegade traitor Husain Haqqani are trying to block/stop the transfer of much needed F-16s to Pakistan. F-16 has proven to be the best weapons systems in the difficult terrain of Pakistan-Afghan border and FATA. 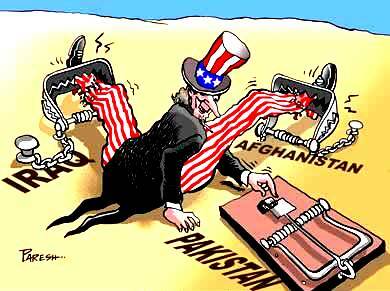 What options Pakistan has in current US backstabbing? Not many, US is globally famous for cutting off it’s nose to spite it’s face. However, soon the 3rd and 4 Generation JF-17 Thunder,Pakistan and China’s Joint Strike Fighter will equal and beat F-16s in ceiling,combat maneuverability, and range. Pakistan must re-think its policy of attacking its own tribals to guard US and Western Interests. America is preparing to leave Afghanistan at the mercy of a lame government and an army of questionable loyalty. Translated from Urdu by Fauzia Iqbal. Edited by Helaine Schweitzer. Posted on December 28, 2014. The search for “good” Taliban is on in Afghanistan; the U.S. has announced that no action is to be taken against those who are not a threat to the U.S., including Mullah Omar. The United States has said that after Jan. 2, 2015, the U.S. Army will not take any action against Mullah Omar and other Taliban leaders in Afghanistan if they pose no direct threat to the United States. Addressing a press conference in Washington, Pentagon spokesman Rear Adm. John Kirby said that the U.S. will not operate against anyone simply on the basis of their being Taliban members. Nevertheless, he used the occasion to clarify that those who fight will not be spared by any means. Kirby emphasized that any Taliban who operate against the U.S. or against its Afghan partners will automatically fall within the scope of the U.S. military operation. Addressing the final news conference for the year last Friday, President Barack Obama reassured the American public that he is committed to his promise to end the U.S.-led war in Afghanistan at the end of 2014. Obama said that in less than even two weeks, the U.S. mission that has continued in Afghanistan for more than 13 years will come to an end. However, Obama gave full permission to his troops to combat extremists in the event of their becoming direct threats to the U.S. or to Afghan forces. After 9/11, America’s enemies in this region were al-Qaida and the Taliban. The U.S. and its allies needed Pakistan’s cooperation in confronting these enemies, cooperation which Pakistan provided. With this cooperation, and with the use of modern arms and trained armies, the U.S. and its allies totally crushed Afghanistan. Ammunition and iron rained down on the land of Afghanistan, and land forces also employed their talents and weaponry to the full extent. Thousands of al-Qaida members and Taliban were killed, and at the same time, hundreds of thousands of innocent citizens were also killed, including children, old people and women. In the words of America, it broke the back of al-Qaida. The Taliban were removed from power but could not be eliminated. They still exist as a force in Afghanistan and some other countries, and the U.S. has even carried out direct, as well as indirect and secret, negotiations with them at times. Although the U.S. stayed in Afghanistan for 13 years with full pomp and power, it could not realize its desire to completely eliminate the Taliban; nor could it persuade the Taliban to cooperate with the Afghan government. Now that a big part of the U.S. Army will be leaving Afghanistan in about a week and a half, without coffins, the Americans are hoping that the Taliban who continued to confront them for 13 years will start behaving like good children and pledge allegiance to Ashraf Ghani and Abdullah Abdullah. This is not simply an illusion or a misconception on the part of the U.S., but inane thinking. The Taliban maintain a hold in many areas of Afghanistan and influence in several others; they are simply lying in wait for the U.S. and its allies to leave Afghanistan — when they can implement their plan to occupy Kabul. Despite the presence of tens of thousands of military experts and their operations, the governments of the previous Afghan president, Hamid Karzai, and current President Ashraf Ghani have remained weak in most areas other than in cities such as Kabul. At the beginning of the coming year, following evacuation of NATO forces from Afghanistan, the government of Ashraf Ghani will have to face severe problems despite having full or partial authority in different regions. Perhaps the U.S. and the Afghan administrations are relying on the 150,000 members of the [Afghan] National Guard. But these are the very U.S.-trained soldiers who carried out dozens of attacks on their American teachers. It is possible that tomorrow these U.S.-trained soldiers will be seen standing in support of the Taliban in the same way that the army of President Hafizullah Amin joined the Taliban following the Russian evacuation. The U.S. defeated Russia with help from Pakistan; it then took the route home, leaving Afghanistan in a state of anarchy and leaving Pakistan suffering to this day from the ill effects of its actions. Had the U.S. restored peace in Afghanistan by establishing a strong government there, the hundreds of thousands of Afghan refugees would not still be a weight on Pakistan after 35 years. As it did in the past, the U.S. is once again leaving Afghanistan without any planning. Pakistan today is in the grip of terrorism and lawlessness that is stronger than any it experienced in the past. Pakistani Taliban — products of the Afghan[istan] War — have turned the whole country into an ammunition pile. On Dec. 16 these terrorists, carrying out the worst example of brutality and barbarity in human history, bathed hundreds of children in dust and blood at the Military Public School in Peshawar. According to the brutal terrorists, this was retaliation for operation Zarb-e-Azb, being conducted by the Pakistani army to eliminate the terrorists. Following this incident, the whole country united under the Nawaz Sharif government for the elimination of terrorists. The prime minister lifted restrictions on the death penalty to be effective immediately. So far there have been six executions, while gallows have been constructed in prisons for more. After the Peshawar incident, the government immediately called a conference of parliamentary parties in an effort to form a working group that would reach a consensus regarding a strategy. Yesterday, this group agreed on eight recommendations including the establishment of military courts and repatriation of Afghan refugees. The prime minister was briefed about these recommendations and, in this context, has called a meeting of parliamentary parties to approve an action plan based on the working group’s recommendations. The meeting will be attended by political leaders, including Imran Khan. Along with execution of terrorists, the Pakistani army is conducting rapid operations in which 200 terrorists were killed within a week and twice the number arrested. In the most recent action in Karachi, 13 terrorists belonging to al-Qaida and the banned Tehrik-e-Taliban were killed in confrontations; arms and suicide jackets were recovered from them. About 300 suspected terrorists were arrested in operations carried out in Mansehra and Islamabad. Pakistan helped the U.S. with its heart and soul in the war against terrorism, as a result of which, the flames of warfare that were extinguished in Afghanistan have started flaring up in Pakistan. Until yesterday, the U.S. was placing pressure on Pakistan to take evenhanded action against those who posed a danger to Pakistan as well as those who did not pose a danger to Pakistan, without discrimination. Now the U.S. is in search of “good” Taliban in Afghanistan. Whether the matter relates to Pakistan or to Afghanistan, “good” Taliban are those who give up arms. Taking the position that we will not confront those who are not confronting us is equivalent to deceiving oneself. This thinking is no different from saying that “you cannot use your weapons; but if your reservations lead you to wield arms, then we will also retaliate.” Prior to the U.S. invasion, the nature of the Taliban position in Afghanistan was no different from this; they had not hurt U.S. interests and even bin Laden had not stood up with his gun in Afghanistan. Still, the U.S. placed a price of $10 million on Mullah Omar’s head. In light of the U.S. statement today, how would the U.S. treat him if he makes an appearance at the beginning of next year, decorate him with garlands? America is preparing to leave Afghanistan at the mercy of a lame government and an army (the [Afghan] National Guard) of questionable loyalty. Further, the fire of terrorism is blazing in Pakistan. Should the U.S. once again leave Pakistan without its friendship and support — as it has done in the past — then Pakistan will eventually emerge from the morass after it faces difficulty. 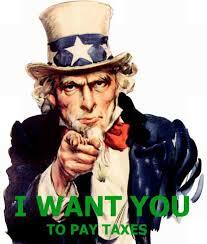 However, its trust in the U.S. will be finished and it will not wish to cooperate with the U.S. ever again. It is possible that in only a few months following evacuation, the U.S. will be in need of Pakistan’s cooperation in Afghanistan. LAHORE – Former Army chief Gen Mirza Aslam Beg on Monday proposed a three-point formula to normalise the tense civil-military relations, warning the government of an Egypt-like change in case urgent steps were not taken in accordance with his suggestions. 3. ministers or other leaders should be barred from speaking against the people who defend the country even at the cost of their lives. Talking to The Nation, he said the civil setup would face no threat and the situation would normalise within no time if the government acted in the light of his suggestions. Otherwise, he said, a military general would take over, just like Gen El-Sisi did in Egypt, and the United States would support the change for its own interests. Gen Beg was of the firm view that the Constitution would not be able to block a military intervention if the rulers did not give the army its due respect. “ZulifikarAli Bhutto had said the 1973 Constitution would bury martial laws, but it was the martial law that buried Bhutto”. Critical of the flawed decision-making process of the present government, Gen Beg said the rulers did not properly calculate the likely negative fallout of their policies. According to him, the government takes decisions first and thinks later. As a result, its damage control measures don’t yield results. Gen Beg said the army was like a family and Gen Musharraf was its former head. The way he was insulted created unrest in the rank and file which forced Gen Raheel Sharif to issue a statement that army will defend its honour and dignity. Compared to the anger of the soldiers, Gen Raheel’s statement was ‘very soft’ however, he claimed. He said it was after Gen Raheel’s statement all government functionaries had gone on defensive and they were offering explanations that they did not want to insult the army. Such people should have been careful before issuing derogatory statements, said Gen Beg. The army, he said, would not tolerate the way Gen Musharraf was being singled out for trial. Similarly, he said, the former president-COAS could not be held responsible for ‘high treason’ as what he was accused of having done did not fall in this category. A treason charge on a former army chief was just not tolerable. Making a strong plea for permission to Gen Musharraf to go out of Pakistan, Gen Beg said if a man like Hussain Haqqani could be allowed to leave the country despite a very serious charge against him, why the former president-COAS couldn’t be given a similar treatment. Explaining his argument that the US would support a general in power in Pakistan at a time when it was leaving Afghanistan after 13 years’ stay in Afghanistan, Gen Beg said the US always felt more comfortable in dealing with one man rather than an elected parliament. He said when the US interest called for a change in Pakistan because of the Soviet invasion of Afghanistan, it got Zulfikar Ali Bhutto eliminated and brought Gen Zia to the fore. Likewise, the US supported Gen Musharraf when its interests in Afghanistan so demanded. According to Gen Beg, had a political government been in power in Pakistan in 2001, the US would not have got the kind of ‘facilities’ in Pakistan that Gen Musharraf had allowed them. Replying to a question, the former COAS said the US had deep penetration in all departments of Pakistan and it could bring about a political change at any time of its choice. “I don’t say that Gen Raheel Sharif is going to become Gen El-Sisi (by overthrowing the political government), but a lot can happen”. He alleged that the propaganda against the army and ISI was part of the US agenda as it was the most effective way of creating tensions between the civil and military leadership. “The higher the tension, the easier the change”, Gen Beg said.